I have been researching the Kolbrin for quite a few years and I will share with you what I have uncovered. “The situation with the Kolbrin and the ‘Kolbrin Bible’ (we at the Culdian Trust have never called it a bible) is unfortunate and we agree with you, to portray the content of the Kolbrin as merely being the forewarner of a catastrophe that may or may not happen has demeaned the book in the eyes of a lot of people who have come in contact with the plagarised version. When the situation was first bought to our attention we went down the breach of copyright road and found it impracticable and not that easy to pursue from another country. The situation with the Kolbrin has been quite discouraging over the years since its publication in the1990s. Glen Kimball, Marshall Masters and Janice Manning (YOWUSA) have unilaterally and irresponsibly taken the right to become online representatives for the Kolbrin, spreading nefarious lies about it and distorting its content to fit their own agendas. Everyone who googles the Kolbrin comes up with endless “Kolbrin Bible” results. These people from YOWUSA have invested lots of money in marketing the book and selling it in many different versions and formats. The sites through which they promote their “Kolbrin Bible” are often replete with UFO and Planet X content amidst other New Age material of dubious credibility, and when people find the Kolbrin included in these sites they dismiss it outright as a hoax without giving it a chance. Additionally, Marshall Masters has twisted and skewed the Kolbrin's contents to the point of even claiming that it prophesies that Muslim terrorists will trigger World War 3. Among other preposterous falsehoods claimed by YOWUSA are that the book is Judeo-Christian (Jews are barely mentioned in the Kolbrin, and certainly not as the book’s compilers), and that a sword was found in America with the words Kolbrin or Colbrin inscribed in it. (This is a half-truth, as a sword was found in America with words inscribed in it, but in a Welsh alphabet called “Coelbren”, which is interesting in itself but another story altogether). Also there now exists a cheap and misleading Discovery Channel documentary apparently produced by Masters, which constantly shows images of an ancient-looking book which is obviously not the Kolbrin although they deceivingly attempt to make it seem so. This is what Steve Russell from YOWUSA had to say about the Kolbrin before they decided to plagiarize it: “The Kolbrin … is not available through places like Amazon.com or Barnes and Noble, as the Culdian Trust do not spend money on massive marketing campaigns to profit from it.” Ironically enough, after illegally plagiarizing it, they soon made sure that the Kolbrin was available on Amazon and other book-selling websites. The Culdian Trust was never really interested in marketing the book, and, in my opinion, this weighs heavily towards its authenticity. The bottom line is that the Kolbrin was originally called “The Kolbrin” and it was the American publishers who decided to add the word “Bible” to its title. As we all know, the original manuscripts are not available. The current version of the Kolbrin is said to be a handwritten transcription from the 19th century which had bits added by the transcribers because of the bad condition of the manuscripts found. It is rumored that the Vatican has a copy of the Kolbrin, and that there are some copies in India, but these are most likely falsehoods, specially the last one since it comes from YOWUSA. Also, it is said that 19th-century physicist Nikola Tesla read the Kolbrin and based his works on it, but I haven’t seen any proof of this, and this information comes from James Mccanney of whom I have little information, so I can’t really judge its veracity. Clearly regarding any kind of scholarly and academic acceptance, the Kolbrin has everything against it. In addition, its name is probably derived from an alleged Welsh alphabet called "Coelbren", and thus it doesn’t have an authentic name which could be traced back to any known book from ancient times (In fact the Kolbrin is not a book, but a collection of texts from different sources and epochs.) Secondly, the original manuscripts are not to be found. Should we then conclude that the book is a hoax? Well it could very well be, and I have been considering this possibility for a while. Yet aspects of it make me think otherwise. For instance, why did the Culdian Trust, which held all the cards to be chief forgers in a hoax scenario, publish almost half of this huge opus online to be read for free? (And let’s not forget the Gospel of the Kailedy, which can also be found in its Culdian version and be read for free online). Also, if the Culdian Trust made the enormous effort required to forge such a lengthy book, why didn’t they pursue a more aggressive marketing campaign? Not to mention that the Kolbrin contains some startling details that wouldn’t have been amalgamated by anyone other than a very informed and meticulous individual/s. “The early farmers moving into Central Europe were sophisticated compared with these children of nature. The farmers wore different clothing, prayed to other idols and spoke a different language. “It was these differences that probably led to tensions. Researchers have discovered that arsonists set the villages of the Linear Pottery culture on fire. Soon the farmers built tall palisades to protect their villages. Their advance was blocked for a long time by the Rhine River, however. “A race of men came out of the cold northlands. They were under a wise father and above them was The Grand Company which later withdrew in disgust. This race was The Children of God; they knew Truth and lived in the midst of peace and plenty. The Children of Men about them were wild and savage; clothed in the skins of beasts they lived like beasts. Even more wild were the Men of Zumat who lived beyond them. “They slew menfolk and carried the women and children away. They stole sheep, goats and cattle. Then they withdrew to the fastnesses of the wastelands. There they built an encampment and fortified it about with walls and ditches, and they made war upon The Children of Men and prevailed against them. “Arjuna says to his charioteer, ‘Krishna, my limbs sink, my mouth is parched, my body trembles, the hair bristles on my flesh stand on end. The magic blow slips from my hand, my skin burns, I cannot stand still, my mind whirls. I see omens of chaos, Krishna; I see no good in killing my kinsmen in battle. ‘O Krishna, I have no desire for victory or kingdom or pleasures. What use is a kingdom, or pleasure or life itself if those for whose sake we desire these things are engaging in this battle? ‘They are teachers, fathers, sons, grandfathers, uncles, grandsons, fathers and other men of our family. I do not want to kill them even if I am killed. Krishna, I do not want to kill them even for kingship of the three worlds. How much less for the earth alone? ‘What joy is there for us in killing Dhritarashtra’s sons? Evil will haunt us if we kill them even though they are evil. How can we gain happiness if we kill members of our own family? Greed may distort their reason, blind them to the sin they commit in ruining the family and betraying friends. But we see this evil. How can we ignore the wisdom of turning from this evil that would destroy the family? ‘When a family is ruined, ancient traditions perish. With them are lost spiritual foundations of life and family loses its sense of unity. ‘Where there is no sense of unity chaos overwhelms the family. In chaos, women of the family are corrupted and when women are corrupted the intermixture of caste is the inevitable result. The intermixture drags the family and its violators to hell; the spirit of the ancestors fall, deprived of the offerings rice and water. Disorder in the family creates disorder in society. “I see no gladness in victory, if victory be granted. I crave no kingdom that I may rule over other men. What would be its pleasures to one such as I? For what do men slay one another? Which man seeks spoil and its pleasure and which man the joys of life? Against us stand men of living flesh and blood, men who have mothers and wives, men who have children, men who are good, even if those who lead them are evil. These good men I have no wish to slay, better would it be were I to be slain myself. Not a man will I slay with these hands, not even for the kingdom of the three spheres would I do it, much less an earthly kingdom. Were those who stand against us all men of evil, it would perhaps be a good deed to slay them; but in the clash of war the good slay the good and the evil ones live safely behind the shields. “Can we slay men made in our own likeness, brother beings? What peace shall we henceforth enjoy in our hearts? Will not the memory make our hearts heavy, so that life becomes an unbearable burden? Even if there are others among these great war hosts who are so overcome with greed for spoil that they see no evil in the slaying of men, shall we not withhold our blows from this awful deed of blood? Recent translations of Mesopotamic clay tablets indicate that the Ark in the original Babylonian flood tale was of a cylindrical shape. In the translations, reduplication of word particles was often used as a plural or for emphasis, as we find in the Flood Tale when the boat of Ziusudra is called MA2.GUR.GUR, meaning “a boat that can roll and turn upside-down”. “We start with: ‘One hundred and sixty years after the death of Ardpeth, the last king. Twenty years after the death of Garadon Pankris. Eighty years after the death of Kelwin. One hundred years after the death of Afterid.’ Well, though Ardpeth was supposedly king of somewhere, and the name Kelwin[e] (Kelvin?) does at least sound familiar, none of these names are found in the standard sources like the Welsh Annals or the Anglo-Saxon Chronicle, and the lack of any cross-referencing detail here makes this lot a dead end. Perhaps these were all local figures otherwise unrecorded. So we simply draw a blank on that one. “Other references to kings, however, do prove traceable. One says the book was completed in ‘the 7th year in the reign of Ecgfrid, son of Oswey, king of North Saxondom’. Ecgfrith son of Oswy ruled Northumbria from 670 until he was killed by Picts in 685. This would put completion well after the US editor’s surmised end-date of 500 CE, specifically in 677 CE. “Linguistically, this means the Celtic text could have been in a surviving dialect of Brythonic-like Welsh. Due to the English expansion splitting Britain into Celtic pockets like Wales and Cornwall, the national language began to break down into a basic form, losing its ‘classical’ declension case endings around 550, according to scholars like KH Jackson. Manuscripts created before this watershed soon became nigh-incomprehensible to later copyists, as Jackson showed in his 1969 study of the epic 6th-C. poem “Gododdin” (commemorating a raid c590 AD from Edinburgh into Northumbria). But the breakdown of Brythonic into regional dialects like Welsh meant that post-watershed works could survive in a living dialect that was evolving a written form. This is more positive evidence than the US editor’s earlier date, as it would’ve made the text more understandable to later generations of copyists. “From our first ‘fix’ at 677 CE, we can backtrack from other given regnal dates to see if they converge on a consistent date for the book – and make sense historically. “The death of ‘Okther’ 165 years ago could refer to Octha, founder of Saxon Kent. This would give us 677 minus 165 = 512; Octha’s death date is unknown, usually put at 522 or later. But he is not mentioned in the Anglo-Saxon Chronicle and in British sources like Nennius seems to be earlier, taking over from his father (or grandfather) the legendary Saxon leader Hengist after 488. “However, we also have 677 as year 2 of Ketwin’s kingship of West Saxondom and year 14 of Ardwulf’s reign over the East Saxons. The Anglo-Saxon Chronicle has a ‘Centwine’ ruling Wessex 677-, yielding 678. Ardwulf is not the name of any recorded Anglo-Saxon king, but there was an Aldwulf ruling East Anglia from 663/4-, which would give us a writing date of 677/678. “The ‘fourth year in the reign of Lothir, king of all the Kents’ leads us to Kentish king Hlothhere (Latin Clotharius or Lotharius) who acceded 674/675, yielding a date of 678-9. “There is also the death of a ‘great king’ 13 years before (=664), during ‘the devil’s breath’. The ASC for 664 refers to ‘a great plague’, which Bede also describes as a devastating plague. The ‘great king’ could be Eorcenberht, the King of Kent of whom Bede says ‘he most nobly governed’, and was first to order that all pagan idols be smashed, and was the father of Lothair just mentioned. “It is also ‘the fifth year we suffer under the afflicting fires of the Black Bull of the North’. Despite the lack of a proper name, this suggests Pictish raids. In 672 [677 minus 5] AD, the fierce Pictish battleking Brude son of Beli came to power. His cross-border attacks would lead to a disastrous Northumbrian expedition led into Pictland in 685 by the already-mentioned Ecgfrith son of Oswy, who perished along with most of his army in the resulting battle. “‘Kadwilan of the Firstfaith’ [i.e. a pagan] suggests the famed North Wales warrior-king Cadwallon. He died in 634, but the reference is to his slaying a 46-year old Christian king 44 years ago [677 minus 44 = 633] in a bloody ‘slaughter’. In 633, Cadwallon famously (infamously, to Bede) slew the 47-year-old Edwin, Christian king of Northumbria and his sons in a major battle, causing Northumbria to break up. “The ‘third year in the reign of Ethelbred’ leads us to Ethelred [no b] ruler of Mercia from 674. Ethelred was not a notable king, but the reference is given with the month and approximate day – between the 7th and 10th of September, suggesting the writer lives in Mercia (in the Midlands) and is using an official local date, though I’m having to guess at the exact day. The research required by hoaxers to include this level of detail would have been exhausting. And to what end? To then refrain from trying to make some financial gain out of all their hard work? Science has brought to light that around alleged time of the Biblical plagues of Egypt and Israelite exodus, Egypt was destroyed by volcanoes and earthquakes among other phenomena. The Kolbrin states that the last flyby by what it calls the Destroyer (also known as Planet X, Nibiru, Hercolobus) was exactly during the time of the exodus, and it gives plenty of minute detail in the Book of Manuscripts. Certain websites allege that the Kolbrin is a forgery carried out by a 18th-century Welsh poet Iolo Morganwy, who some claim forged a Druidic alphabet called the Coelbren. However, the researchers at http://www.kingarthurslegacy.com/ have traced the Coelbren alphabet to a much earlier time-frame than Iolo Morganwy’s, and provide factual evidence for this. As the name Kolbrin is clearly derived from “Coelbren”, and the Welsh connection is self-evident (in the Book of Creations, the Ferilbook and the Book of Britain Welsh-sounding names are everywhere to be found, including the word “Awen”, the Coelbren word for God), I believe there is a possibility that Iolo Morganwy didn’t forge the Coelbren alphabet, but took it from some faithful Druidic source, and that the origin of the ancient Welsh alphabet might somehow be related to the contents of the Kolbrin. finger of the right hand, the signet ring of the order,—on the forefinger of the left, the gem ring of inspiration. Before him were borne the COELBREN, or volume of esoteric mysteries, and the golden crosier with which the misletoe was gathered. His robe was of white linen, with a broad purple border—the symbolic cross being wrought in gold down the length of the back." Some people insist that the Kolbrin is a hoax, but a brilliantly conceived one. I personally think that the Kolbrin is just too brilliant to be a hoax. Reading the contents of the book would make even the staunchest disbeliever doubt his/her own inclinations. Unfortunately the defamation brought about by the American publishers YOWUSA has led to a situation in which most people don’t actually deem it worthy to read the book but instead base their opinions on internet rumors spread by bloggers who also base their ideas on yet more rumors, all tracing back to the falsehoods put about by YOWUSA. The Kolbrin doesn’t have support anywhere and so it remains a gem submerged in the dark watery depths of the Internet’s most infamous abysses. The best I can recommend is to read the book yourselves and make up your own mind about it. Don’t base your opinions on ignorant Internet rumors and slander. The read will surely not disappoint you regardless of its actual provenance. – I have found 23+ almost exactly similar mentions in both Manuscripts 6 and in the Admonitions/Lament of Ipuwer, critics will say that the faker copied them . – I have found wording that almost exactly echoes a piece of oral history from the Zuni myths of the Hopi Indians, I will be told that it was copied from Lieutenant Cushing’s translations. – I have found mentions of practices/customs in the Kolbrin that cannot be found anywhere else, I will be told that the faker dreamed them up. – That there is a mention of the Destroyer (as distinct from God) in the Book of Exodus, I will be told that it doesn’t count. (This is where we could do with an early version of the alleged manuscript). – Archaeologists have recently found evidence of a pygmy race and a race of elephants which once existed on the south-east Asian island of Flores, I will be told that there have always been legends about tiny people – even though the discovery was made after the NZ publication of the Kolbrin. – The metaphor of the Earth on the potter’s wheel only occurs in Sumerian and Egyptian texts, I will be told that the faker copied Sumerian texts too. – That in the Celtic books a lot of Old English wording still remains, even in translation, I will be told how cunning the faker was. – The faker didn’t bother to mention the deeds of Arthur or Merlin in his Celtic books (although Lancelot and some other knights get a mention), I will be told how skilful he was in his choice of subject--matter. And so on. I have a lot more tucked away, and would happily set it out in a more scholarly form, if others are prepared to pool their findings too. But we seem to be in a no-win situation – rather like Kay and Gerda in Hans Andersen’s story The Snow Queen, where Kay can see nothing in the same way as Gerda does because of the shard in his eye. But which of us has the shard? Some lists compiled by member of the group and Kolbrin researcher Yvonne Whiteman have been uploaded for anyone interested in investigating them. They are separated by category and contain information related to the authenticity of the Kolbrin. Much of this remains in the realm of speculation but it's provided for other researchers to have a more unified source of information which may open new leads towards unveiling more about the Kolbrin's origins. If anyone wishes to add anything to the lists please PM any of the admins. "The Land of the Little People and the Land of Giants, the Land of the Neckless Ones and the Land of Marshes and Mists, the Lands of the East and West were all inundated. The photos of giant skulls being dug up in Greece, Turkey and Middle East are probably fakes, but there are many solid records on the internet of giant skeletons and bones being found all over the Americas. In Greek, Roman, and Egyptian mythology they were referred to as Acephalos (plural-Acephali) (literally 'without a head' from the Greek acephalous, also known as Akephale or Akephalos, also supposed to inhabit Libya. They have the same description as the Blemyae, as recorded by Herodotus and Josephus, as well as traditional and medieval folklore. ‘...Men whose heads do grow beneath their shoulders’ are mentioned in Shakespeare’s play Othello. The Kolbrin states that human beings are descended from a ‘sinful intermingling’ of two different species, the Children of God and the Children of Men (Yoslings). This intermingling is ‘sinful’ not for moral but for biological reasons. ‘Ancient humans started down the path of evolving into two separate species before merging back into a single population, a genetic study suggests. Compare this description with traditional depictions of the Chinese Celestial Dragon (two versions attached). The dragon always has a small round object(s) around it, often throwing out flames. Compare also with the Ripley Dragon, which is an illustration from the Ripley Scroll, a 15th-century work of alchemical symbolism (two versions attached). The text of Manuscripts 34, 29–66, is clearly about the Pharaoh Akhenaten (called Nabihaton in the Kolbrin). It tells a lot more about him than we currently know, including the fact that he was epileptic and that he had an incestuous relationship with his daughter Meritaten (called Meriten in the Kolbrin) which was highly disapproved of by the Egyptian people. Although some historians have suggested that he might have had all kinds of incestuous relationships, the small statue of him kissing his daughter in the Cairo Museum (attached) has been used to suggest what a great family man he was. From the Kolbrin it is clear that he wasn’t. In Manuscript, the Kolbrin laments the decline of the pharaohs and states: ‘they were a family, a race apart’. Some historians have observed that many of the pharaohs have a distinctively different skull shape from most other human beings, and have compared them with ancient skulls found in South America in recent years (attached). King Bladud. As early as the 4th century, King Bladud is mentioned by the Welsh monk Tysilio in his chronicle - a chronicle that the 19th-century archaeologist W.M. Flinders Petrie said should not be ignored. Bladud is described in well over 30 books published during the 15th to 17th centuries by authors including William Caxton, Raphael Holinshed and John Milton. The king is also pictured in a number of books, one of which is in the British Museum and one in John Rylands library in Cambridge. King Bladud founded the city of Bath in Somerset, in the west of England. In his earlier life he suffered from leprosy and so was banished and worked as a swine-herd. He noticed that his pigs’ skin complaints were alleviated by wallowing in the hot springs outside Bath, so did the same himself and was cured. Restored to kingship, he travelled to Athens to study, He became a necromancer, and was killed after building himself wings in London and trying to fly. Ditto King Lucius, who is recorded as being the first Christian king of Britain, converted in the late 3rd century AD. Ditto Joseph of Arimathea, who is written about extensively in the Book of Britain. Joseph’s genealogy is recorded in three separate genealogies, one of which can be found in the Herald's Office at the English College of Arms in London, one in the Harl Manuscript in the British Museum, and one in Jesus College, Oxford. Clearly, ‘Estartha’ is the goddess known throughout the Eastern Mediterranean between the Bronze Age and Classical times known by the Greeks as Astarte. In his book Legend (1998), the historian David Rohl notes that the Flood occurred during the time of Sisythes / Xisuthros / Ziusudra. The Kolbrin names the king who goes into the Ark as Sisuda. In the same book, Rohl proposes a theory that the Ark ended up, not on Mount Ararat in Turkey, but in Kardu, in Kurdistan, near Nesilin/Nusaybin. The Kolbrin says that ‘the great ship came to rest on Kardo in the mountains of Ashtar, against Nishim in The Land of God’. In Models in Archaeology (Methuen, 1971) David L. Clarke, examining Arthur S. Bulleid and Harold St George Gray’s analysis of Glastonbury Lake Village (1911–17), suggested that there were in this village areas of specialised activities and structures occupied only by women. Science has brought to light that around the alleged time of the Biblical plagues of Egypt and Israelite exodus, Egypt was destroyed by volcanoes and earthquakes among other phenomena. The Kolbrin states that the last flyby by what it calls the Destroyer (also known as Planet X, Nibiru, Hercolobus) was exactly during the time of the Exodus, and it gives plenty of minute detail in the Book of Manuscripts. "When I was young my grand-father told me that the Kolbrin had been brought back to light by his grandfather's people in the place known to them as Futeril Cairn, beyond the pool of Pantlyn at Carclathan by way of Gwendwor in Wales." I have established that there is indeed a pool at Pant–y–Llin near Gwenddwr north of the Black Mountains in Wales. The word ‘pool’ is interesting because this is the only pool or ‘turlough’ in Wales – a body of water not fed by any streams or tributaries by from underneath the ground, and therefore not a pond or lake. There are many cairns in the area and I would need to do some local research to see if there are places called Futeril Cairn or Carclathan. The person writing the note, J. McA, describes Wales as if he or she does not live there, so they must be from England or Scotland – probably Scotland, judging from the surname. These are virtually word–for–word translations from OE syntax. Would a forger really mention Lancelot in passing, in the Celtic books, but not give a mention to King Arthur or Merlin? I find this difficult to believe. As you’ve said, Manuel, would a forger really be so casual about putting out a book and not bothering to market or publicise it? Aruah brought but one thing with her when she crossed the misty frontier, the treasure of Lanevid, the jewel contained in the moon–chalice, the stone of inspiration fashioned by the desires of men. Never owned by any but the daughters of Aruah, this, the Lengil, Aruah gave to Fanvar as her dowry and her pledge of purity and exclusiveness. She followed the ways of the cradleland, not the ways of Earth. Within the Gardenland was the Sacred Enclosure, the domain of Fanvar and Aruah, forbidden to those of The Children of God who had now come to this place. It contained the Chalice of Fulfilment granting any who drank from it the realization of all things to which they aspired. None might drink from this save Fanvar and Aruah. Also there was the Cauldron of Immortality containing an essence distilled from the fruits growing in the garden, and this guarded against mortal ills. Outside the Sacred Enclosure, known as Gisar, but forming a gateway into it was a circular structure of stones called Gilgal, and within this was a shrine wherein was kept a sacred vessel called Gwinduiva. This was like a goblet and was made of rainbow-hued crystal set in gold with pearls. Above the cup appeared a shimmering moon-coloured mist like a thin cold flame. At certain times, when the Heavens were in a proper position, the Gwinduiva was filled with moondew and potions from the cauldron within the Sacred Enclosure, making a pale honey-coloured liquor, and this the people drank from the goblet. However, there were different proportions in the vessel for those of the blood of Fanvar and Aruah and those who were Children of God but not of their blood. It was the potion from the Gwinduiva which kept sickness and disease away from those who drank it. The stone of Light and the firestone were stolen in the days of disaster and none now knows their resting place, therefore the land is empty. It was he [Joseph of Arimathea] who received the moon chalice and the light of Britain. The Druthin held the secrets of the Great Temple of the Stars, and theirs was the royal isle in the Kingdom of Kevinid. The heart of Britain is the moon–chalice, which was brought here by the hands of the Chief of the Kasini. He came shipborne to Rafinia*, which is by the Mount of Lud, against Ardmoal. Passing Insdruk, he came to Itene where he hid the treasure in Trebethew. It was not captured, as men say, nor could it decay. In the fullness of time, it came to Kargwen. There it was kept secure with the Grailstone and the ever–virgin vessel which brought down the rays of the sun. Thus it was that these treasures of Egypt came to Britain. This was the secret of Britain. I wonder whether the Gospel of the Kailedy was written by Abaris, who also wrote the text above in the Book of Britain. ‘Then Moses called for all the elders of Israel, and said unto them, Draw out and take you a lamb according to your families, and kill the Passover. ‘And ye shall take a bunch of hyssop, and dip it in the blood that is in the basin, and strike the lintel and the two side posts with the blood that is in the basin; and none of you shall go out at the door of his house until the morning. Compare with the many references to the Destroyer in the Kolbrin. Jack Churchward’s Llasa records in The Lost Continent of Mu, which he claimed were ancient records he found in Tibetan monasteries and translated, tell of a land very similar to the land of Oben, which appears to have preceded the civilisation of Atlantis. “They were monsters and animals of prey; they were provided with claws and terrible teeth. A mountain lion is but a mole in comparison to them. Then Those Above said to these animals: ‘Ye shall all be changed into stone, that ye be not evil to men, but that ye may be a great good to them. Thus have we changed ye into everlasting stone. In olden times there were spawned great monsters and beasts in fearful form, with frightful gnashing teeth and long ripping claws; an elephant was but a cat in comparison with them. Then, because of heavenly rebellion and turmoil, and the terror overwhelming the hearts of men, The Great One hardened the face of the land, which had become unstable, and the beasts were changed to stone. In Ignatius Donnelly’s book Ragnarok: the age of fire and gravel,1883, in which he proposes that a comet hit the earth in prehistoric times and destroyed a high civilization, he puts forward the theory that the incredibly ancient Book of Job (it’s apparently older than the rest of the Old Testament and sticks out like a sore thumb) has much in it which is consistent with cataclysmic times (from darkness to skin eruptions to terrific noise). ‘To this city [the Egyptian city of Sais] came Solon (several generations older than Plato), and was received there with great honour; he asked the priests who were most skilful in such matters, about antiquity, and made the discovery that neither he nor any other Hellene knew anything worth mentioning about the times of old. On one occasion, wishing to draw them on to speak of antiquity, he began to tell about the most ancient things in our part of the world-about Phoroneus, who is called "the first man," and about Niobe; and after the Deluge, of the survival of Deucalion and Pyrrha; and he traced the genealogy of their descendants, and reckoning up the dates, tried to compute how many years ago the events of which he was speaking happened. ‘Thereupon one of the priests, who was of a very great age, said: O Solon, Solon, you Hellenes are never anything but children, and there is not an old man among you. Solon in return asked him what he meant. I mean to say, he replied, that in mind you are all young; there is no old opinion handed down among you by ancient tradition, nor any science which is hoary with age. And I will tell you why. There have been, and will be again, many destructions of mankind arising out of many causes; the greatest have been brought about by the agencies of fire and water, and other lesser ones by innumerable other causes. There is a story, which even you have preserved, that once upon a time Paethon, the son of Helios, having yoked the steeds in his father's chariot, because he was not able to drive them in the path of his father, burnt up all that was upon the earth, and was himself destroyed by a thunderbolt. ‘Now this has the form of a myth, but really signifies a declination of the bodies moving in the heavens around the earth, and a great conflagration of things upon the earth, which recurs after long intervals; at such times those who live upon the mountains and in dry and lofty places are more liable to destruction than those who dwell by rivers or on the seashore. And from this calamity the Nile, who is our never-failing saviour, delivers and preserves us. When, on the other hand, the gods purge the earth with a deluge of water, the survivors in your country are herdsmen and shepherds who dwell on the mountains, but those who, like you, live in cities are carried by the rivers into the sea. Whereas in this land, neither then nor at any other time, does the water come down from above on the fields, having always a tendency to come up from below; for which reason the traditions preserved here are the most ancient. Like the Timaeus, the Kolbrin states that there have been many cataclysms in the past, and makes clear that each event wipes out all traces of civilisation, so that the survivors have to start all over again, like children. ‘When the Earth became light, next day, man saw man driven to madness. ‘All was gone. Men clothed themselves with the skins of beasts and were eaten by wild beasts, things with clashing teeth used them for food. A great horde of rats devoured everything, so that man died of hunger. The Braineaters hunted men down and slew them. ‘Children wandered the plainland like wild beasts, for men and women became stricken with a sickness that passed over the children. An issue covered their bodies which swelled up and burst, while flame consumed their bellies. Every man who had an issue of seed within him and every woman who had a flow of blood died. ‘The ships were divided and those who wished to set up the eagle and serpent went to the Harbour of Giants in Belharia. The same giants are builders of great temples and they are six cubits tall. ‘The ship with Korin stayed with us and he hunted them out of their caves and slew them all, save one giantess. She came to us, bound as a surety for the life of the wife of Albanik. ‘Because of the feast these people demanded the giantess, and she was given over to them for the days of feasting. There are echoes throughout this text of things Ancient Greek – see the description at the beginning. Odysseus is called ‘the craft/wily one’ throughout the Odyssey, here he is called ‘the cunning one’. He sails from place to place (I’ve left out all the voyaging which appears in this piece of text). He tussles with a Cyclop and kills him. In this section, a hero called Hurmanetar journeys to the Nether World, which echoes both the Odyssey and the Aeneid in which Odysseus and Aeneas go down into the Underworld. Genesis states the ages to which men lived in the early days of mankind – Adam 930, Seth 912 years etc. The Turin King list gives incredibly long lives to the early Egyptian rulers, whom it describes as ‘gods’. In Murry Hope’s book The Sirius Connection – and in most books by the avant–garde prehistorians Hancock / Bauval / John Anthony West / David Rohl / Robert Temple etc. – the authors discuss what are termed ‘the epagomenal days:– the intercalculated or intercalary days, and the gods worshipped on those days that formed no part of the month of the old solar year’. ‘In Ramakui there was a great city with roads and waterways, and the fields were bounded with walls of stone and channels. In the centre of the land was the great flat-topped Mountain of God. ‘The city had walls of stone and was decorated with stones of red and black, white shells and feathers. There were heavy green stones in the land and stones patterned in green, black and brown. There were stones of saka, which men cut for ornaments, stones which became molten for cunning work. They built walls of black glass and bound them with glass by fire. This is surely a description of Atlantis, which Plato describes in the Critias and the Timaeus, as having roads and water channels, with a flat-topped mountain in the centre where Poseidon’s temple stood. Plato describes the city walls as being decorated with red and black. He also describes a material which men fashioned and which was highly prizes – orichalcum. Robert Temple has identified an object in the British Museum as being an ancient piece of glass, made at a time when it was not thought that human beings had such skills – but the Kolbrin mention black glass walls and ‘eye reflectors of glass stone’. [From Wikipedia: The Aurignacian culture is an archaeological culture of the Upper Palaeolithic, located in Europe and southwest Asia. It lasted broadly within the period from ca. 45,000 to 35,000 years ago (about 37,000 to 27,000 years ago on the uncalibrated radiocarbon timescale; between ca. 47,000 and 41,000 years ago using the most recent calibration of the radiocarbon timescale). The name originates from the type site of Aurignac in the Haute-Garonne area of France. Lewis Spence in The Mysteries of Britain (1905) describes a legendary hero called Hu Gadarn who had sacred oxen and overcame evil powers. When ‘wolfwretches’ [barbaric dwarf people] came in the night to steal their women, Hew led his people into battle against them and when peace was made, he took their leader’s daughter to wife as a pledge of peace. Osiris is traditionally described as ‘a dark god’, ‘the black Osiris’. In Thrice Greatest Hermes (John Watkins, 1964), G.R.S. Mead quotes an ancient Egyptian magic papyrus, ‘He who is Lord in the perfect black’. Robert Temple in The Sirius Mystery, Robert Bauval in The Orion Mystery, Giorgio De Santillana and Hertha Von Dechend in Hamlet’s Mill and many other writers use myths as a vital stepping-stone to their explorations of prehistory. ‘...-And thus shall ye eat it; with your loins girded, your shoes on your feet, and your staff in your hand; and ye shall eat it in haste: it is the LORD'S passover. ‘On the great night of The Destroyer’s wrath, when its terror was at its height, there was a hail of rocks and the Earth heaved as pain rent her bowels. Gates, columns and walls were consumed by fire and the statues of Gods were overthrown and broken. People fled outside their dwellings in fear and were slain by the hail. Those who took shelter from the hail were swallowed when the Earth split open. ‘There were nine days of darkness and upheaval, while a tempest raged such as never had been known before. When it passed away brother buried brother throughout the land. Men rose up against those in authority and fled from the cities to dwell in tents in the outlands. ‘Egypt lacked great men to deal with the times. The people were weak from fear and bestowed gold, silver, lapis lazuli, turquoise and copper upon the slaves, and to their priests they gave chalices, urns and ornaments. Pharaoh alone remained calm and strong in the midst of confusion. The people turned to wickedness in their weakness and despair. Harlots walked through the streets unashamed. Women paraded their limbs and flaunted their womanly charms. Highborn women were in rags and the virtuous were mocked. Incidentally, the historian David Rohl has suggested that the gigantic eruption(s?) on the island of Thera could have caused the destruction which is described in the Lament/Admonitions of Ipuwer - destruction which I identify with ‘The Destroyer’ in the Book of Manuscripts. However, although many of the phenomena described in the Book of Manuscripts could be attributed to a the biggest volcano of all time, others can’t. Also, the Book of Manuscripts states that the ancient land of Egypt was visited not once, but twice by The Destroyer, and that The Destroyer has a very lengthy, regular cycle. Plato also says that the same kind of cataclysm has happened over and over again at times of planetar perturbation. These three institutions all contain genealogies of Joseph of Arimathea and Jesus (see below). They suggest that the families of Joseph and Jesus were extremely well connected in northern Europe. When she went to live in Rome with her husband, Gladys, who is said to have been the first Christian convert in Britain, was adopted by the Emperor Claudius and renamed Claudia. ‘From this document we learn that Ann, mother of the Virgin Mary, was married three times. Her first husband was Joachim by whom she had the Virgin Mary, her second husband was Cleophas and her third was Salome. (In Hachette's guide Bleu Bretagne there is an ancient Breton tradition that Anna, mother of the Virgin Mary, was born in Cornouaille (Cornwall?) of Royal blood. When she was pregnant with the Virgin Mary, her husband (Joachim), ill treated her and she fled from Europe to Jaffa and settled in Nazareth where Mary was born.) Ann or Anna,had a sister called Bianca who was the mother of Joseph, the Virgin Mary's husband, thus showing that he was also her first cousin. ‘In the British Museum there is the Harl Manuscript which confirms the above information. Another manuscript, held at Jesus College, shows the family tree of Joseph of Arimathea and gives confirmation that Penardin, granddaughter of Joseph of Arimathea married King Lear of Britain. Notice that far from being confined to Palestine, the Holy Family seem, through Joseph of Arimathea, to have intermarried into British royalty and to have left Palestine to live in Britain. I speculate that the ‘Great Guardian’ is the Sphinx, which faces the sunrise and is thought to have some kind of mystery buried beneath it. I am convinced that this text refers to the Great Pyramid. ‘A shoeprint was discovered in a seam of coal in Fish Canyon, Nevada, and the impression of the sole was so clear that the strong thread was visible. This print is estimated to be 15 million years old. ‘Dr Chow Ming Chen in the Bogi Desert in 1959, found the impression of a ribbed sole on sandstone, reckoned to be millions of years old. Dinosaur footprints have been found in similar sandstone beds. ‘A rock carving in the American south-west, at Hava Supai Canyon, Arizona, shows a Mesozoic Brontosaurus. A rock drawing, also from North America, shows a clearly recognizable Stegosaurus, also a Mesozoic saurian. Robert Temple’s The Crystal Sun: rediscovering a lost technology of the ancient world (Arrow, 2001) describes the thousands of ancient lenses dug up and ignored by historians and museums all over the world simply because it was, and to some extent, is still believed that prehistoric man wasn’t smart enough to know about such things. On page 413 Temple states that an early Church father, Bishop Titus of Bostra in Arabia, refers in his work Against the Manicheans to the cauterization of wounds using globes or spheres. The linguists Vadislav Illich-Svtych and Aron Dolgopolsky have concluded that the Middle East, Europe and America originally shared a common language as recently as 15,000 years ago. In Uriel’s Machine, Knight and Lomas refer to archaeological evidence of perturbations to the Earth, one in c. 7,000 BC, and one in c.3150 BC in the Mediterranean. Further on, they refer to the Sibylline Oracles which describe a great star falling and burning up ‘the deep sea, with Babylon itself and the land of Italy, by reason of which many of the Hebrews perished’. The prophecy also mentions ‘Indians and Ethiopians’ being adversely affected by the star. Dead Sea Scroll 4Q370 describes the Flood and says, ‘…not even the giants escaped’. Triad No.5 states that Christianity came to Wales in AD58 when King Bran of Glamorgan brought the new faith to the land. If it came to Wales at that time, then the Kolbrin’s claim that Joseph brought Christianity to Britain just after the death of Jesus should be regarded as authentic. Scrolls 33:11; Manuscripts 3:7, 26:9; Origins 3:18; Silver Bough 7:18 - prophecies of the return of the Destroyer/Frightener in the future. Looking through margin notes in a copy of the Kolbrin, perhaps here is a small piece of provenance. Very small. From the Book of Manuscripts, chapter 19. pp. 207 in 1st ed. pp. 197 in 2nd ed. "Ramotip, son of Yagob by Ilipa daughter of Pasinesu, Commander of the Royal Protectors, found him by the road to Basiros, as he journeyed to meet the great bride." 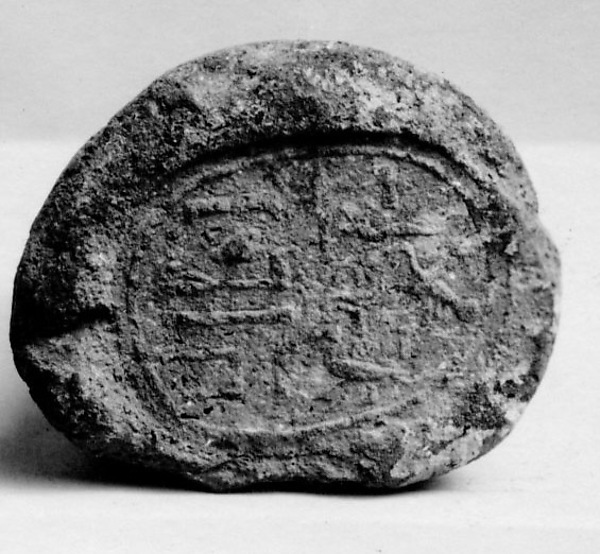 The Metropolitan Museum of Art in NYC holds in one of its collections a funerary cone of a one "Pasinesu - Chief of servants of the Royal House." Found in Thebes by Norman de Garis Davies dated to the early 18th Dynasty Egypt and gifted to the museum in 1930. Maybe other objects from the same gifted collection or same area of find point to other clues? Collection 117. Senmut /Senenmut / Senmout was a nobleman, architect and government official of the 18th Dynasty at the court of Hatshepsut. His name literally means 'mother's brother'. He may have started his career during the reign of Tuthmosis I - Hatshepsut's father - or during the reign of Tuthmosis II, Hatshepsut's half-brother and husband. His parents were reburied in his tomb. It is thought that he was not married. He had two tombs in Thebes. 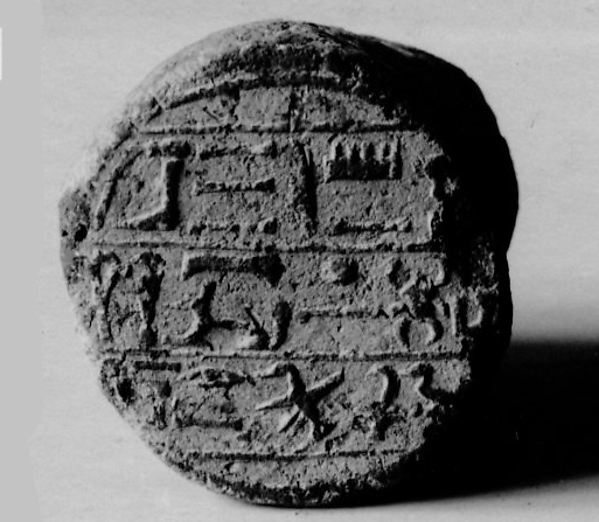 Senmut held several positions related to the cult of Amun in Thebes. He was also the Steward of Queen Hatshepsut, the tutor of the royal daughter Neferura and he served as an architect. His most famous contribution as an architect is Hatshepsut's beautiful temple at Deir el Bahari - named Djeser-Djeseru. the dwelling place of a prince. the ground in the base of the structure where no eye ever sees it. Joseph of Arimathea was a rich and powerful man working for the Romans and is described in the Vulgate as Nobilis Decurio - ‘Minister for Mines’. From earlier voyages to Britain he would have been utterly familiar with areas of Britain where Phoenician/Roman iron, tin, lead, salt, shale mines and trading posts were situated. It seems logical that his post-Crucifixion voyage to Britain would have taken in some of these places round the south-west coast with his companions on their search for refuge, eventually ending up at what The Kolbrin calls the ‘Isle of Departure’ [Glastonbury]. The places mentioned would include what Joseph of Arimathea would know as a seasoned seaman-trader and what he could see from a boat hugging the coastline. In ancient Welsh writing, Joseph of Arimathea is known as ‘Illid’. The subsequent story in The Britain Book makes it clear that Illyid is Joseph of Arimathea, although he is not called this until later in the book when he written about by a different writer..
Tartessos, on the Iberian peninsula, is mentioned in many ancient writings including the Bible (‘Tarshish’). Vectis Insula / Isle of Wight. This was a strategic island for the Romans, so the area between it and mainland Britain would have been known as the Sea of Wicta. Rutupiae (now Richborough), Kent was a major Roman fort/port at the time when Joseph would have landed. If the Romans’ Sea of Wicta stretched round to include what we now call the English Channel, then Rutupiae/Richborough is likely to be where Joseph landed. Totnes in Devon is suggested, in Rivet/Smith’s The Place Names of Roman Britain, as possibly being Rafinia, since the Romans called the River Dart ‘Ardua Ravenatone’. But Paul could not feasibly have travelled from Totnes to Ludgate Hill by ‘the morrow’; also, tradition has it that in Saxon times there still stood in Sandwich an old house called the "House of the Apostles". The word ‘wain’ means a load-carrying vehicle or a Celtic cart. (It’s still called a ‘wain’ in Constable’s painting The Haywain). The land in which Joseph landed might be described as the land of the Celtic chariots, since Britain was famous for their war chariots (Boudicca etc). This could refer to the River Trent, which is now a tributary of the River Stour in Dorset. Once the whole length of the river could have been called the River Tarant. ‘Korin’ was the homeland of the Cornovii during the Iron Age, Roman and post-Roman periods. It sounds similar to the old Cornish name for Cornwall, Kernow. The OED defines ‘isen’ as an obsolete variant of ‘iron’. The Romans had vast iron works in the Weald of Kent. Ictis/Iktin was an island tin-trading centre mentioned in Diodorus Siculus’ Bibliotheca Historica. The Kolbrin seems to be saying, ‘Albany being the land between iron-working Britain and tin-working Britain’. In the 7th-century Ravenna Cosmography, written by an unknown monk at the Monastery of Ravenna and listing all the towns and road-stations throughout the Roman empire, a place called ‘Ivernalis’ or just ‘Vernalis’ is listed among what are thought to be West Country names. Someone has suggested ‘Cernelis, Ivernelis? Vicinity of Charmouth, Dorset?’ I have found a village of Iwerne Courtney and what was once the Iwerne Stream in the county of Dorset. The Charmouth cliffs are a landmark along this length of coast. In the map room of St Michael’s Mount, a 1585 map marks Looe Island as ‘St George’s Insul’, ditto a 1741 map in Truro Museum’s map files. Looe is known to have been an ancient trading island, so it may well have been referred to simply as ‘Insels’. Later in The Britain Book it says: ‘The master was born under the sign of the Churlswain, at Dinsolin, called Insel by the Sons of Fire, in the year that the warwolves drove back the Children of the Horse.’ This suggests that St Michael’s Mount was also called Insel. However, St Michael’s Mount is called ‘Dinsolin’ further on in Joseph’s voyage, so Insels must be a place he passes earlier on. What could the Kathebelon be? Saying that Joseph went south of it suggests that he could equally well have gone north. 1. Could it be an old name for the great waterway of Carrick Roads? 2. Could it be the Bulwark, a massive Iron Age earthwork nearly 666m long and over 6m high, which once enclosed the headland across the sound from Falmouth Harbour? The Bulwark once housed a series of buildings forming a promontory fort or cliff castle. The ‘belon’ part of Kathebelon has ‘bel’ in it - see Diodorus Siculus below. Bel has a connection with Bel/Baal-worship. In another part of The Kolbrin, the legend of Kori and the giant is told in another form, set in a place called Belharia, which must be an ancient name for Cornwall. The Kolbrin states that the giants who lived there built the great temples. All over Europe the name ‘Bel’ is associated with legends of giants. Din-sol or ‘Castle of the Sun’ was an ancient name for St Michael’s Mount in Mount’s Bay. Once a tin-port, it is now a tourist destination – a castle-topped hill cut off from the mainland at high tide. West of St Michael’s Mount are the fishing towns and villages of Marazion, Penzance, Newlyn, Mousehole and Lamorna. To the west of St Michael’s Bay in Cornwall lies a small fishing village called Mousehole. I think this is the place referred to in the Kolbrin. I have been in touch with a number of etymology experts and each has their own opinion on whether the name Mousehole might have a Middle Eastern origin. Doctor Oliver Padel, author of Cornish Place Names, states that Mousehole clearly has an English origin and means what it says. He points to fact that the Romans called it Pertusum Muris, Latin for `hole of a mouse' - referring to a 50-foot-high cave in the cliffs near the village. The fact that Mousehole had the only clean water in the entire bay makes a strong case for it being the place where Joseph and his companions went in to get fresh water and trade. The mention of red staining is also very interesting. 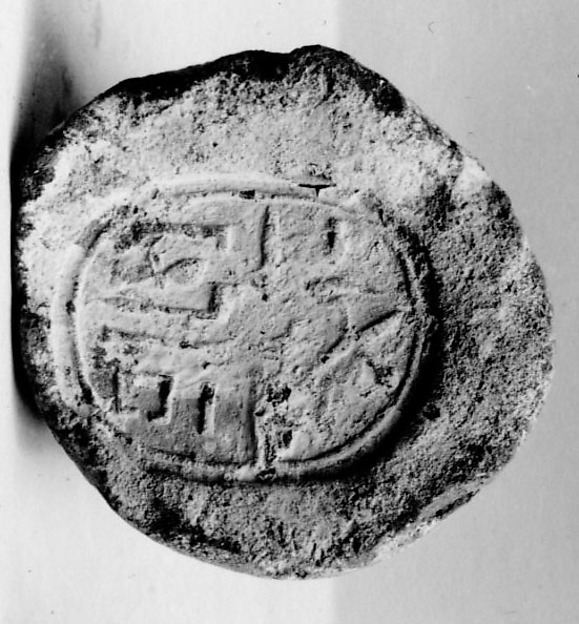 "M in Phoenician stands for WATER and since vowels are not written in Phoenician, the original M must have sounded like Ma. OZZ is a Phoenician word and stands for strong. It sounds the same as in English. EL is another Phoenician word, an important one, and it stands for the god EL, the greatest of the gods. Hence, when we combine the three words together we get MAOZZEL which mean: “Water”, “Strong”, “god EL” or in English: the “Strong water of the god El” -- in this case, probably “strong” means to describe medicinal, poisoning, nourishing or magical water of the god El. It could also mean “strong current”." ‘ الموصل (al-mawSil), the Arabic name of the northern Iraqi city we call Mosul, means “place of joining'” “junction” or, more appropriately in this case, “confluence”. The reference in the name is to the fact that the city is situated where several tributaries join the main flow of the Tigris ... Mosul (the actual Arabic is Mawsil) refers to the “junction” of the Tigris and several tributaries. w-s-l “to join” gives mawsil “place of joining”. So there we are - four different opinions on whether the name Mousehole has a Middle Eastern origin. When I visited Mousehole a few months ago, I was reliably informed by one of the village’s oldest residents that until recently not two, but five streams ran down the side of each of the village’s five steep streets, all flowing into the harbour. Since the 1960s the streams have been covered in by manholes and there is now just one water outlet there. For a long time Mousehole was called Porth Enys ‘port of the island’, referring to a low-lying island nearby (St Clement’s Isle) where trading was carried on in the past. My overall conclusion is that Mousehole may well have been known by the Middle Eastern tin-traders’ name of ‘Mawsil’ meaning ‘place of joining’ or ‘junction’ - the place where all those unpolluted streams and rivers came together in the harbour, and where ships traded at the foot of the cliffs on the low-lying island. How do we explain the ‘red cliff between two white ones’? I think there could be one of two explanations: It could refer to the mixture of reddish granite and silver-white elvin cliffs found only at Mousehole (see colour photo of Mousehole cave); or it could refer to the silver-white elvin cliffs and down the middle of them a section of cliffside stained red by a continual flow of dirty tin-streaming water pouring out into the sea from a waterway east of Mousehole/Mawsil. Either way, ships sailing across the bay from St Michael’s Mount would see a distinctive red and white landmark which spelt food and fresh water. Isca Augusta (or Isca Silurum) was a Roman legionary fortress and settlement. Its remains lie beneath the present-day village of Caerleon on the northern outskirts of Newport. The Romans mined lead and iron in the Caerleon area. The Romans called Caerleon ‘Ikta’. Sabrina is the Roman name for the Rivern Severn. *Admin Edit:The above has since been edited from its original posting by Yvonne herself due to further study into the places described, including visits to the sites themselves. Photos mentioned can be viewed on the following link, which discusses this topic by itself: http://culdiantrust.org/culdianforums/index.php?topic=188.msg1964#msg1964. While clearly of a more primitive and animalistic species than modern humans, these Yoslings did possess traits not known in any other current species of animal today besides man, these namely being consciousness, language, and reason. They used fashioned tools and performed rituals, at a more primitive level than our modern ancestors, yet at a higher level than any other primate known in the fossil record besides anatomically modern humans. Going by the fossil record and the Kolbrin stories of the Yoslings, these beings seem to be none other than the extinct species of primates now called Neanderthals. “It was the custom of Maeva (Child of God) to wander there in the sunshine and Lewid (Yosling) also went there; so it came about that they met among the trees. Maeva knew the man but had shunned him in the past, now she saw he was handsome, possessed of many attractions, so her foot was stayed and she did not run away. “Dadam (Child of God) said to the woman, "What have you done, for what has happened to us cannot be unless the things which are forbidden have been done". The woman replied, "Lord, I was tempted and I fell, I have done that which is forbidden and unforgivable". Dadam said, "I am bound by duty to do certain things, but first let us go into the Gisar to the place called Bethkelcris, where I will seek enlightenment". So they went there together and stood before the shrine beneath the Tree of Wisdom. There they were filled with an inflowing vision, seeing themselves as they were and as they should have been, and they were ashamed. He because he had not followed the proper path of a man and she because of her falsity. There, in the reflecting mist, the contamination of the woman was revealed, and the man's heart shrivelled within him like a flower licked by flame. Then they saw a great Spiritbeing materialising in the reflecting mist and he said to them, "Woe to you and your house, for the greatest of evils has befallen the race of The Children of God and it is defiled. The heritage of Kadamhapa is lost. The fetid flow defiling the woman results from the incompatible intermingling, but it is not all, for sicknesses and diseases are also generating from the ferments of the impure implantation". What is most interesting about this tale, first openly published in 1993 in the Kolbrin, is that while Neanderthal/Cro-Magnon interbreeding was a fringe hypothesis, the scientific consensus at that time considered such an interbreeding impossible. This is because once two divergent species evolve far enough apart from common ancestors, gene linkage first results in often deformed or sterile offspring, and then finally becomes impossible due to incompatibility. Geneticists were certainly firm on the belief of incompatibility between Neanderthals and Cro-Magnon in 1993. However, in 2010, the Neanderthal genome was fully sequenced, and compared to our own. Genetic science was rewritten in light of the new discoveries. It was found that not only that modern humans carried Neanderthal DNA (between 1-4%), but that different modern races carried different amounts of the extinct species’ DNA. Caucasian (whites), interbred most with the Neanderthals, carrying the highest on average percentage of this DNA. Asians and Hispanics carry the second most amount of Neanderthal DNA. And tellingly, sub-Saharan Africans carry no Neanderthal DNA, meaning the Black African race did not interbreed with Neanderthals.